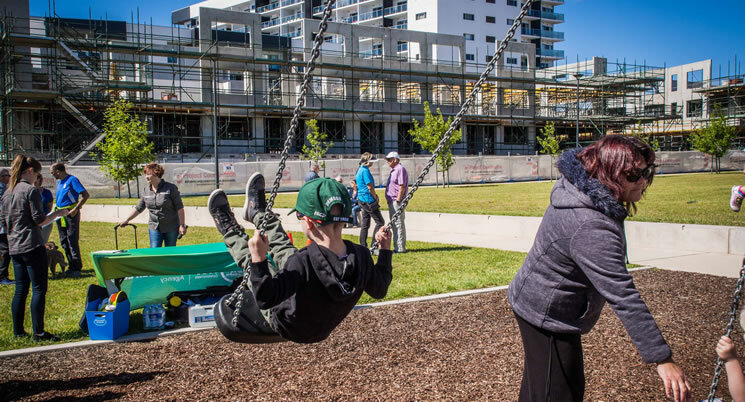 Suburban Land Agency | News | Southquay Greenway's Nina Farrer Park is Now Open! Suburban Land Agency - Southquay Greenway's Nina Farrer Park is Now Open! The official opening of Nina Farrer Park in Tuggeranong by Mick Gentleman MLA on Sunday 14 January. Thank you to the residents and Nina Farrer's relatives who braved the wind to celebrate and play in the park.